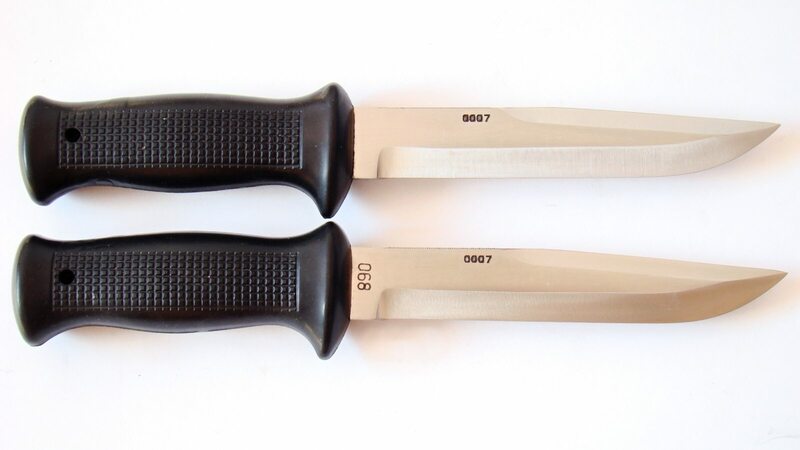 You can see new knives UTON 0007 in these pictures. The first is lubricated with the preservative vaseline “P” and the second is without it. 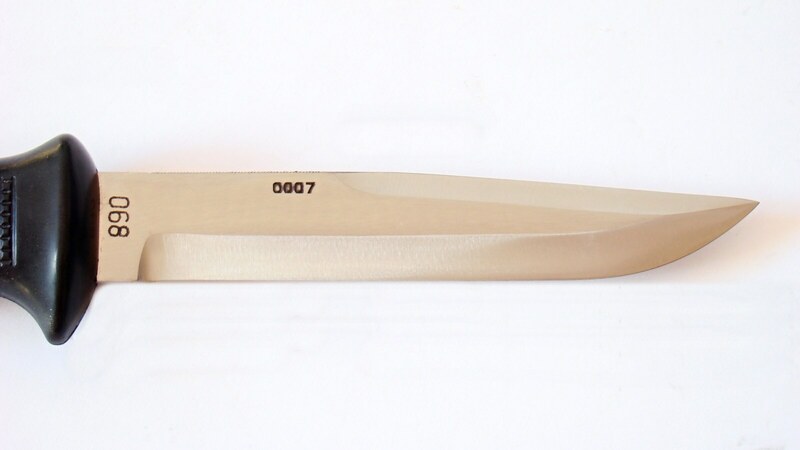 The 0007 series was the last version with sheaths with large rivet accepted by year 1983. 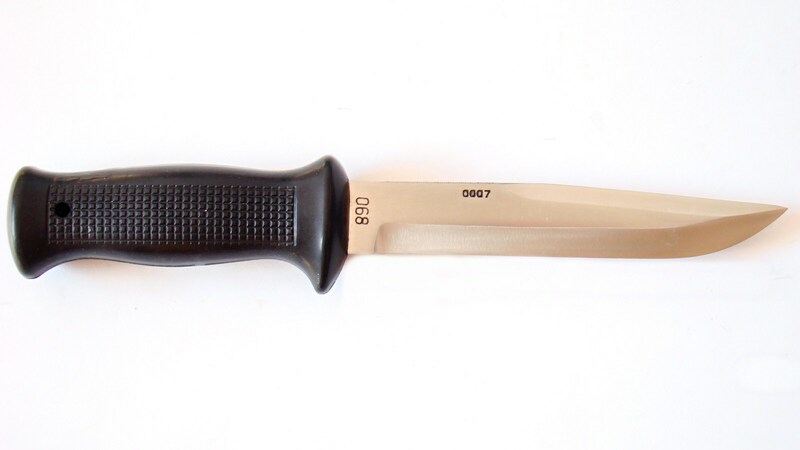 We also come across with sheath embossed with the words UNPROFOR. 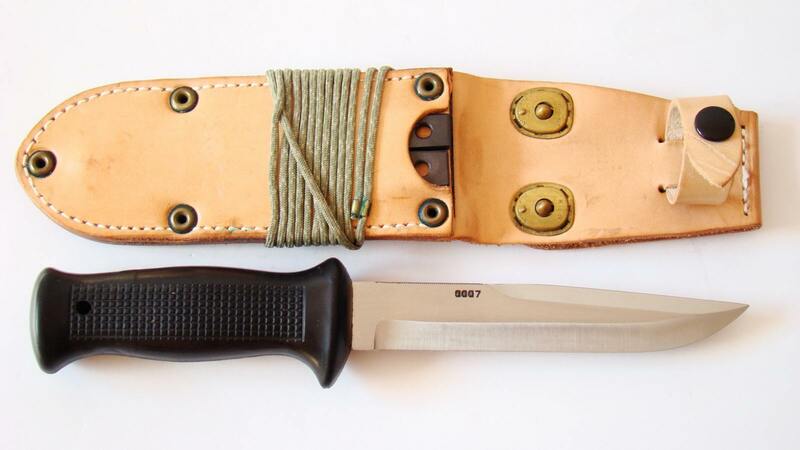 Note the acceptance mark of army on the blade in the seventh picture. It is etched crossed swords. Utons marked in this way were randomly selected for inspection and passed the exam of hardness. 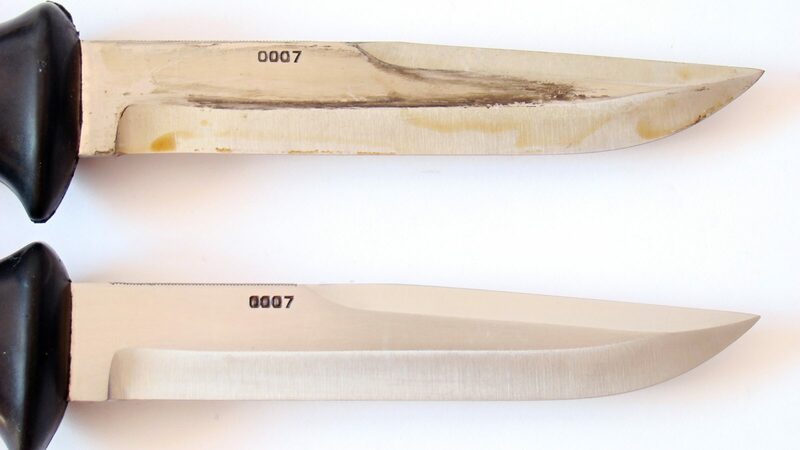 On the other side of blade is a tiny gap from the hardness. (uton marked this way were also in other series and it didn´t just a series of 0007). 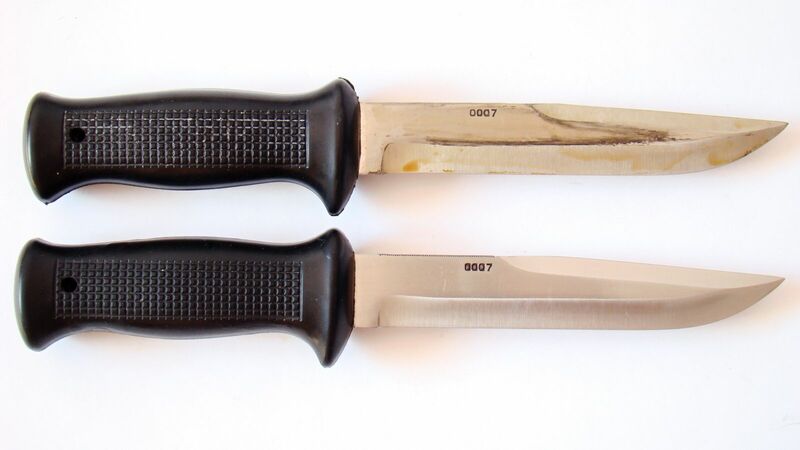 Interest: There were found logo of Mikov on the left side at a few pieces of knives UTON series 0007 in military warehouses. That was probably done by mistake.